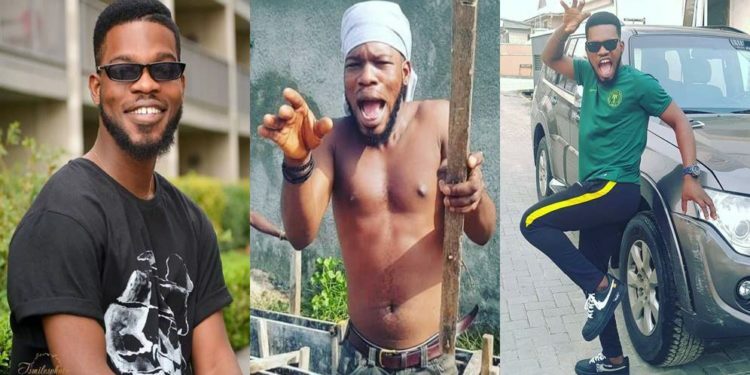 Samuel Animashaun, multi-talented comedian better known as Broda Shaggi has a cult following on the micro-blogging site, Instagram with followers running to over 600,000. Recently, this University of Lagos Graduate of Creative Arts sat with some journalists to share his rise to fame and his future. Tell us how your journey into comedy begins? Comedy has always been something I loved since I was a kid. As a child, people always compliment me and tell me how hilarious I was. So, as I grow older, I always dreamt of doing something creative and different from what everybody else were doing. That is how I came across the several characters I have developed through my skits. At what point did you decide to focus on the comedy business? I made that decision in December 2017 with Broda Shaggi’s character. Although I recently shot into limelight, I have been doing comedy skits for about five years. I actually started acting in comedy dramas while I was still a student at the University of Lagos. I was very popular in school and I remember people saying things like this guy will blow in the industry. In school, I was just determined and certain that I was going to make my mother proud. My father was an actor before his death as well as a teacher in Mayflower Junior School, Ikenne, Ogun State, where he taught theatre, dance and music. I decided to focus more on acting because I know I am very good at it and it would be a good means for survival. So, while still in school at the University of Lagos, I was doing the regular style of comedy and skits but that did not bring fame my way, so I played with the ‘agbero’ style and it worked like magic. 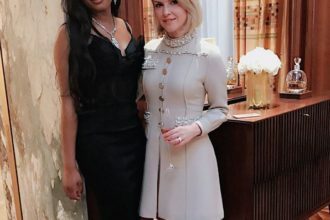 How easy was it fitting perfectly into this Agbero style? As a trained actor, I was to create characters and make them believable. Acting the character of an Agbero? In reality, I do not have any link to such lifestyle but I am in the comedy business in order to make a difference. Before the Broda Shaggi character became popular, I had toyed with other characters like ‘Inspector Perry’. That was the first character I created back then when I was still in the university. I also always uploaded the skits on Instagram as well. After that, I created other characters like ‘Akanni Ibadan’ and ‘Lecturer Dele’. All these characters came into existence before Broda Shaggi but they never gained much recognition. How did you come about the name Broda Shaggi? The idea of Broda Shaggi came to me in December, 2017, when I went to my mechanic. While he was fixing my car, I overheard some guys talking. One of them asked the other to buy something for him but his friend refused, so he jokingly asked the guy, ‘Are you okay, have you forgotten that you were once my apprentice’. He said it in Yoruba and sounded like a lout. I noticed everyone around was laughing because of the way he spoke and his mannerism. I liked the way he spoke and that was how I got the idea. The next thing I did was to get a name that would suit the character. I thought of Musiliu, then Shaggi Don Baba, but eventually, I decided to use Broda Shaggi. There is this belief that Instagram comedians rarely connect with the live audience. Is that the case with you too? Before I became an Instagram comedian, I had been into acting. That was what I studied in school. I have been acting in movies. I have done many works for ROK Studios and Africa Magic. I had featured in many Nollywood movies before I gained fame as a Instagram comedian. Some of the movies I have acted in included Dear Mummy B, Unfinished Business, and I was in Eniola Badmus’ recently released film, Ghetto Bred. So your area of strength is comedy? Actually, I can deliver any role given to me. Back then as a student at the University of Lagos, I acted in various stage plays. In fact, while I was in school, I had to take part in those stage plays in order to fend for myself. I did them to survive as a student. We were taught about music, visuals art and theatre art. I was also into visual art and that is how I honed my skills as a painter. Initially, I directed all my strength to my paintings but I did not sell them as I expected, so I had to switch and embrace comedy. At a point, I formed a group in school called, ‘The Stage Addicts’, it comprised of about 10 of us. We went for various shows and were privileged to perform before dignitaries like the former governor of Lagos State and ex-President Goodluck Jonathan. We did this just to survive as students. I also write scripts and direct. I am saying all this to prove that I am not limited to Instagram comedy alone. What inspires the stories behind your skits? I am not an activist but when you watch most of my skits, you will see that beyond the comic, I am actually passing a message. My background also inspires my skits. I have always wanted to put a smile on my parents’ face knowing the situation of things at home. Basically, what inspires me is trying to be different and making a living out of it at the same time. For any young talent, how can they leverage on the power of social media to showcase their talent? Social media is very important because it has been the tool that made my brand to be recognized all over the world. I’ve been on social media for more than five years, but I think the fact that I kept on doing what I liked doing made it worthwhile. I would have backed out because sometimes I see people that I’m funnier than having tones of likes and I just have about a hundred likes. There is much more to social media than what people think. People think it’s just to post pictures and do all of that. It’s more than that. Social media is a market. It is an office. I see it as my job. I remember when I started, people told me that I would run out of ideas because I posted skits daily but I did not listen to them because I saw it as my career; my job is to do comedy. Today,I get some messages and they keep me moving. There was a day I didn’t post a video because I was busy on set, I got several messages from people who were waiting for my videos. I had to apologise to them. So I see it as a very big platform. I see it as my own office. Is comedy paying off now monetarily for you? Yes, it’s paying my bills now. When I started, it was with the advertisement of musicians who wanted to put their songs and needed my skits to help publicise the new projects. I charged them affordable prices. Now I charge more because I put in more work and creativity into my skits. Also, I need more people to act with me and I have to pay for their services. How have you been coping with the ladies? It has been fine. It is normal for the ladies. How do you deal with negative criticism? I believe social media is filled with different people. While some could give negative comments, others send out positive comments. So when I see the negative comments, I just ignore them and laugh about them. I believe it is normal that not everyone will like you. When not working, how do you unwind? Well, I don’t drink and I don’t smoke. People don’t believe it, but it is true. For the fact that I don’t smoke nor drink, I hardly go to the club. But my manager tries to take me out some times to socialize and network. I just thank God for the kind of friends I have. Most of my friends are like me; they don’t do the things I don’t like and that make me happy. What should people be looking for in the nearest future from Broda Shaggi?